For all of us using an Android device , we already know that the Google play store limits the download of android apps and games only via an android phone or other android devices . Even if Android supports sideloading of apps and games , Google has alwaysrestricted the direct downloads of apps from the play store as apk files . Google is doing the best to protect our android devices and the reason behind android apps not being available to download as apk files , is to prevent the spreading of virus and malwares by sideloading of apps from the outside of the play store .Although downloading apps on an android phone is very easy , but if your data connection is slow , you won’t be left with any option apart from waiting for the crawling downloads to complete until you can use your favorite apps or games . Fortunately there is a workaround which will allow you to download Android apps and games as apk files from the Google play store . APK Downloader is an free online service that will help you to download android apps and games as apk files directly to your desktop without any hassles . Follow the instructions below to find out how you can downloads apps and games from the Google play store as apk files . For obvious reasons APK downloader allows you download free Apps and games only and to prevent piracy, you are not allowed to download paid apps . Note: As for apk files downloaded from APK Downloader , we assure you that all the files are safe and free from any kind of viruses and malwares as all of them are directly downloaded from the Google Play Store . 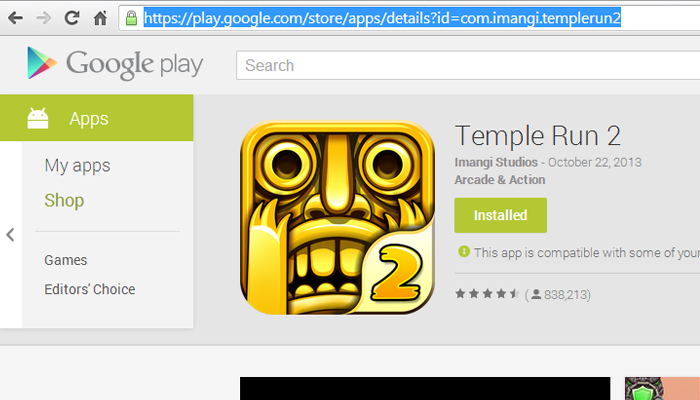 Step 1: Head over to the Google play store and chose from your desired android app or game and Copy the web URL of the Android app or game . 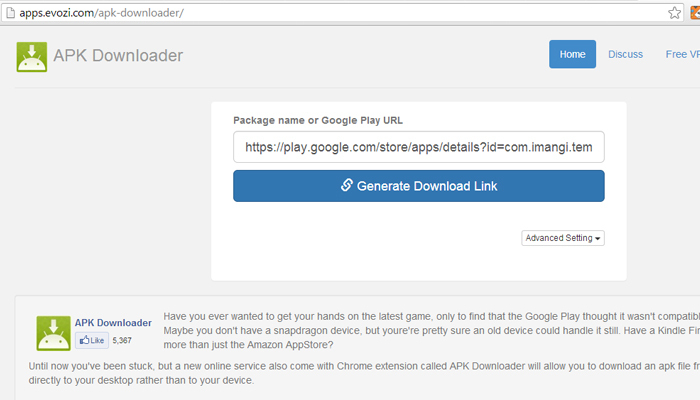 Step 3: Now head over to http://apps.evozi.com/apk-downloader/ and paste the web URL of the android app / game in the input box provided , and click on “ Generate Download Link “ . Step 5: Wait for a few seconds until the service fetches your requested app and hosts it on their server . 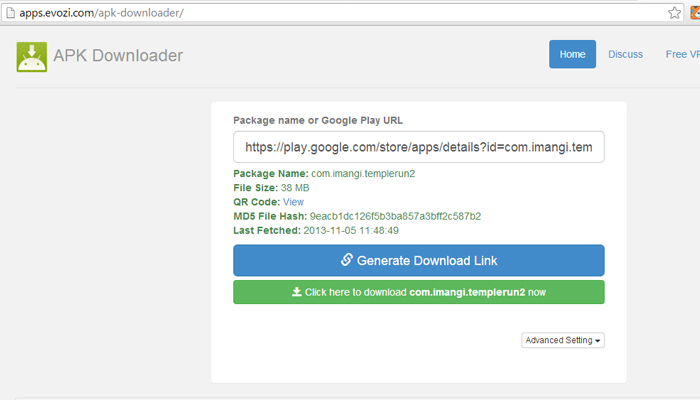 Once the app is fetched simply click on thedownload link provided and save the app on your PC . 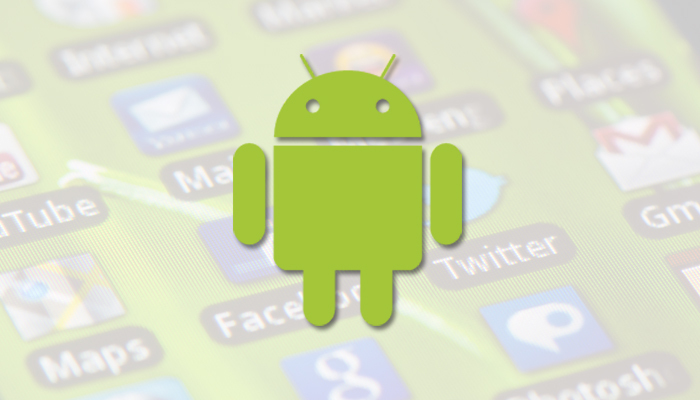 Now you can copy over the apk file to your android phone and easily install it or even keep it as a backup .